Welcome to the second quarterly newsletter of 2017! A lot has happened in these past 3 months. Keep reading to learn about what our education program has been up to, volunteer projects, and other exciting highlights. Primary school students in Tierra Colorada Baja wait outside the mobile clinic. Our education program and medical program have continued to team up and provide health education and mobile clinic services at primary schools in the Palajunoj Valley. At each school, students receive classes on preventative health topics as well as medical, dental, and laboratory services. In these past few months, we have visited the communities of Tierra Colorada Alta, Candelaria, and Tierra Colorada Baja. Survey teams ready to take off! The volunteers at Primeros Pasos have been working to identify ways to improve the provision of health and education services. 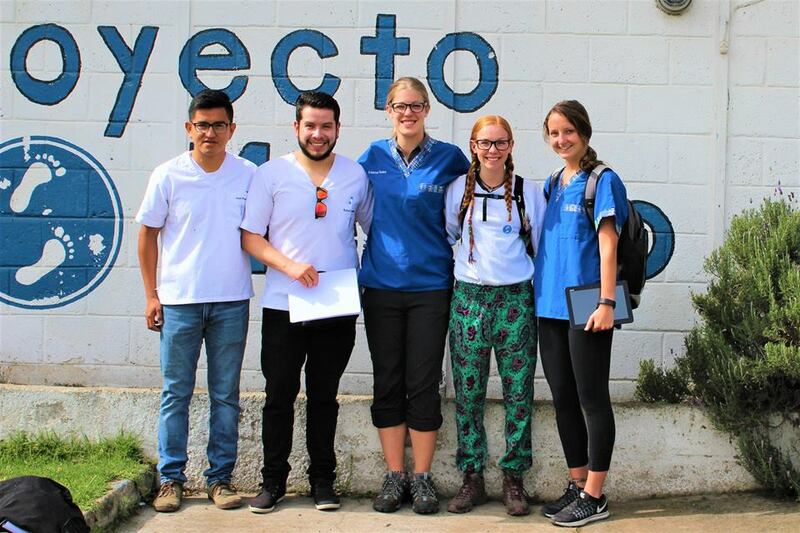 In June, teams of volunteers and Guatemalan medical students conducted an assessment of pharmacies and government-run health posts and surveyed community members about perceptions of healthcare providers. Volunteer Arielle presents the findings of her healthcare services assessment to Primeros Pasos staff. 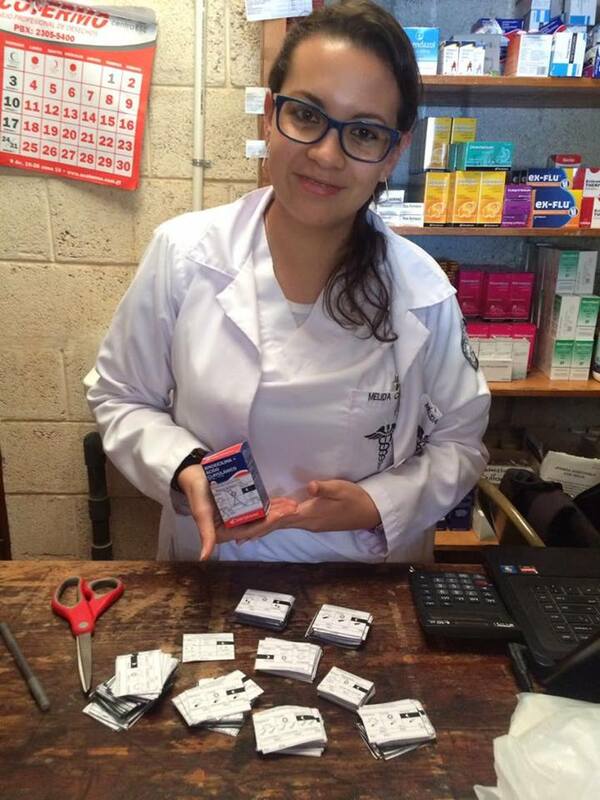 A huge thank you to pharmacy volunteer Shannon Dahlgren for making image-based medication labels to help patients at our clinic better understand and adhere to their treatment regimens. Our medical team has transitioned to using the labels to more easily communicate to patients how they should take their medications. We have even updated our prescription pads with the labels! A huge thank you to pharmacy volunteer Shannon Dahlgren for making image-based medication labels to help patients at our clinic better understand and adhere to their treatment regimens. Our medical team has transitioned to using the labels to more easily communicate to patients how they should take their medications. We have even updated our prescription pads with the labels! In June, we received 4 stethoscopes for each of our 4 clinics from Stethohope, an organization that provides medical supplies to facilities in under-resourced areas. Thank you for the kind donation! 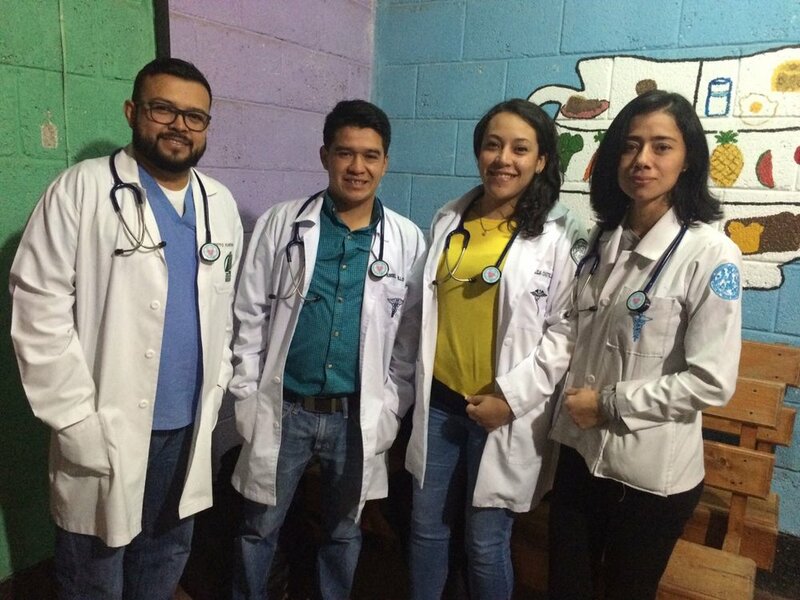 At Primeros Pasos, 4th year Guatemalan medical students, or externos, spend 4 months with our clinic and programs for their family medicine rotation. At the end of May, we said good-bye to our first group of the year. In June, we welcomed a group of 10 new externos to our clinic. Like us on Facebook, follow us on Twitter and Instagram, subscribe to our newsletter below!